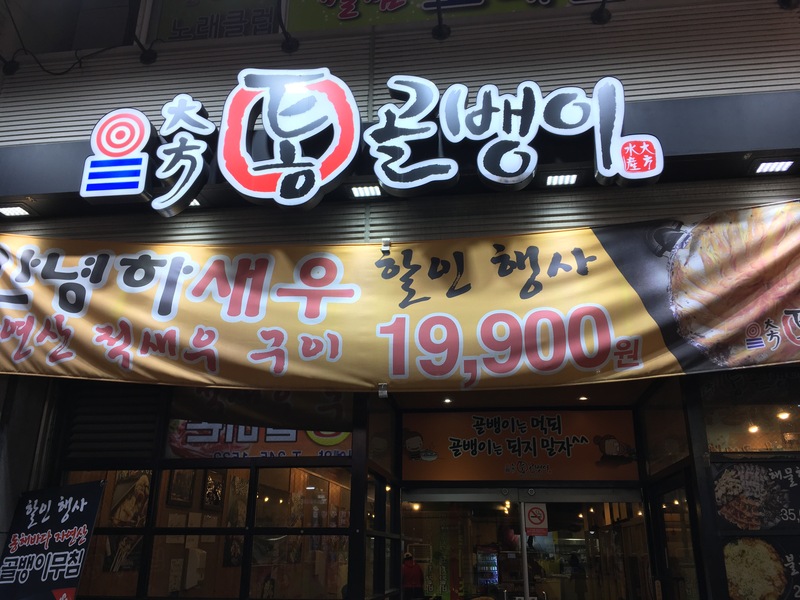 What we thought was going to be a relatively quick visit to the Jagalchi Fish Market ended up with our spending hours in Nampo instead. Get off at the Nampo subway station and take exit 5. You’ll be at the mouth of winding pathways filled to the brim with shops and restaurants and cafés and bars. It’s a pretty hip place but also a bit of a tourist trap, you know what I mean? Definitely a must-visit if you’re in Busan! Every year it seems Christmas gets bigger and bigger in Korea, if Nampo is anything to go by. Follow the trail and venture deeper inside and you’ll be treated to a view that could only otherwise be achieved by consuming vast amounts of LSD. In other words, it’s AWESOME. I mean, check out this huge Christmas tree! Check out the traditional street food. Are you a fan of Running Man? They had some food at this stall. You know, if you’re into that sort of thing. This one was significantly less shady than it looks like in my badly-taken picture. We eventually settled on this seafood restaurant, after being approached by a strange portly gentleman who happened to be their promoter. This one’s in one of the slightly seedy alleys, but the food was pretty good, I must say. While it was pretty crowded for a weeknight, some parts were naturally less lively. Heading back after a few hours and a nice hot meal.